If you have diabetes, three minutes per day could save your life. It’s true. Just three minutes is all you really need to give your feet a thorough check for cuts, scrapes, lumps, and other injuries that could easily progress to something more. When such issues are addressed time, you go on living your life. If they aren’t, they can become dangerous wounds that may lead to infection, amputation, and a serious decline in overall physical wellbeing and quality of life. It’s usually best to check your feet right after your daily bath or shower, so they’re soft and clean. Make sure you dry your feet thoroughly first! Sit comfortably in a well-lit room, and be sure you are able to see every part of each foot: top, bottom, sides, between the toes. If you aren’t, you can use a small mirror—or a loved one! Perform a careful visual inspection. Do you notice any swelling or signs of redness? Cuts, cracks, or bruises? Damaged or yellowed toenails? Make sure to note any trouble spots and determine whether they are new, getting better, getting worse, or staying the same. Don’t forget the spaces between your toes! Feel your feet with your hands. Do you notice any cold spots or other sudden temperature changes? How about any bumps or lumps? Pro tip: a foot thermometer can be an extremely valuable tool and can help identify hidden circulatory issues or infections. 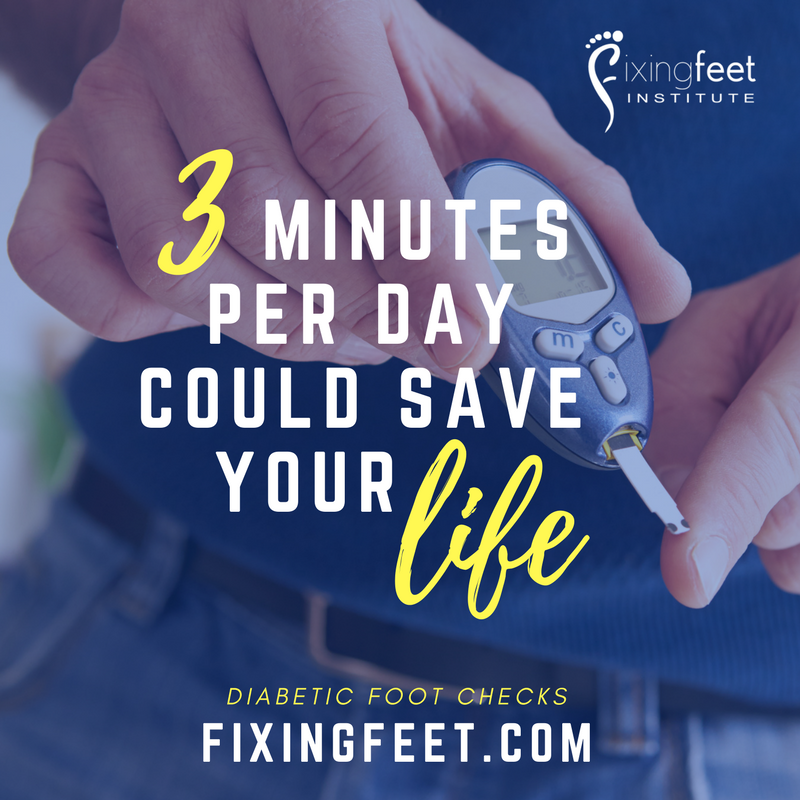 You should also schedule a full diabetic foot exam at our office at least once per year. (If you have a history of foot problems, you may need more frequent checkup.) This not only allows us to provide necessary maintenance care, but also allows us to check for complications (such as circulatory or nerve health) that might be lurking below the surface. If it’s time for your next professional check-up, or you need to report an emerging issue, don’t hesitate to pick up the phone and call (623) 584-5556. It could save your foot. It might even save your life. ?What kinds of foot problems are common for people with diabetes?